After living in Astoria for many years, the owners of Favela, saw the need for a bona fide Brazilian restaurant where families and friends could gather to enjoy Brazilian cuisine and ambiance, complete with the sounds of Brazil. The name Favela, or shanty town in English, truly reflects Brazil’s indigenous and rich culture. 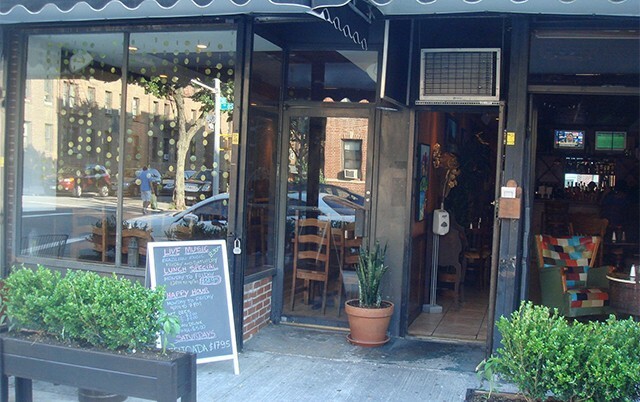 At Favela you could have a taste of the flavors of Brazil without leaving New York. Our menu is based on simple ingredients found at the most modest homes, yet offering an incredible taste that's sure to please everyone. Immerse yourself in the festive flavors and tradition of Brazil when you dine at Favela Grill! I love Favela and go on the weekends to enjoy the live Brazilian music. The food is amazing and my favorite by far is the Picanha. Favela is my favorite Brazilian churrascaria in Astoria, hands down. I always get the Picanha, it is their best steak. I wish they had better drink deals, but I like the Picanha so much I drop the $45-$50 every time I go (but 2 can share). Plus, they have live music on Friday & Saturday nights that's awesome and the crowd rocks. I give this place a big thumbs up. If you are into authentic Brazilian food, this is your place. Just order the Feijoada and you'll know why. It tasted almost as good as the one I ate when I was in Bahia.